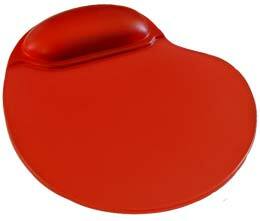 This is a luxury gel mouse mat with a comfortable wrist rest , non slip base and exacting mousing surface. We recommend this for an ergonomic mouse-mat, that gives support to the wrist while not constricting freedom of movement. Do your staff or clients a favour upgrade to these! 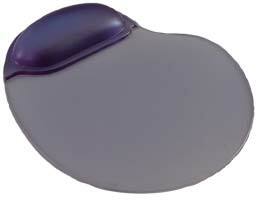 This ergonomic design makes the mouse use, comfortable, efficient and easy. With long times spent in the office at the computer, wrist and shoulder tiredness can become a problem. 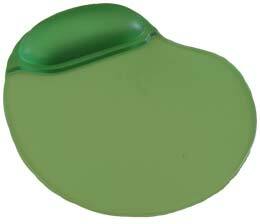 These practical mouse pads help to reduce the tension in the wrist by allowing it to rest while working the mouse. 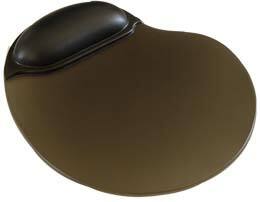 At a reasonable price these gel mouse pads should be a part of your and your customers office. We have a large range of promotional products, so please feel free to browse our extensive selection. Our promotional items are a great way to advertise your business. Increased exposure of your company information and message leads to increased business. You cannot afford to be without this inexpensive cost effective form of advertising. We can print your business details on these in one, two three or 4 colours. From $9.95 per unit * . Includes a one colour print. $25 set up *Minimum order 50 units. Please enquire about pricing on larger runs. Large 15 cm X 19 cm print area. Back to our Mouse Mat main page. If you would like further information on this great product, please feel free to contact us.